Brahmavar, Feb 14, 2017: Mattu village in Udupi district is famous for its cultivation of ’Mattu Gulla’, a special type of brinjal grown in about 500 acres of land in and around here, and which also enjoys the Geographical Indication (GI) tag, some farmers here are now cultivating watermelon as an alternative crop and raking in profits. It all began three years ago, when Yashodhara Kotian (32), a farmer, who used to cultivate paddy and Mattu Gulla till then, decided to switch to watermelon. The decision paid back handsomely. He took the guidance from the experts at Krishi Vigyan Kendra at Brahmavar for this. “I always like to try new things,” he said. He has been cultivating two crops of watermelon in an acre of land here for the last two years. He uses the mulching technique to cultivate watermelon. This has reduced his labour cost. The yield of watermelon per acre is six to seven tonnes. “After deducting Rs. 25,000 towards expenses, one can make a net profit of about Rs. 60,000 per crop depending on the market conditions,” it was said. “Compared to cultivation of paddy or Mattu Gulla, the labour requirement for watermelon is low,” said Pradeep S. Poojary, another watermelon grower. Soil : According to B. Dhananjaya, senior scientist and head, Krishi Vigyan Kendra, the land in and around Mattu has sandy loam soil. “This soil helps in cultivating watermelon, which is a good alternative crop for the area. Cultivation of an alternative crop helps check pests,” he said. Two crops of watermelon are grown as it takes about 65 days for the fruit to grow after sowing it. While the seeds of the first crop are sowed in November, the second is sowed in January. 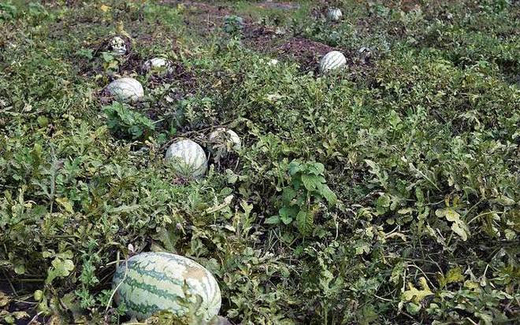 After noting Kotian’s success, some other farmers have taken to cultivation of watermelon too. “About 20 tonnes of watermelon are grown here now. More farmers are taking an interest in cultivating watermelon. In order to avoid the problem of middlemen cornering profits, we are selling it directly to the shopkeepers,” Asked about the taste of watermelon grown here, a farmer said, “ The watermelon cultivated here is slightly sweeter than the ones grown elsewhere. Our loyalty will always be to Mattu Gulla because it can be cultivated only here,” said one veteran. Farming and cultivation also needs proper knowledge , W have to be aware of the manure which is needed for the growth of watermelon.